Here at Sweet Emily we love to use seasonal produce and we hate to see any being wasted. That’s why we will take your surplus fruit or veg and in return you will get a jar of your own jam back for every kilo of fruit you let us have – it’s a WIN-WIN! You’ll have to be within 10 miles of Swythamley of course. 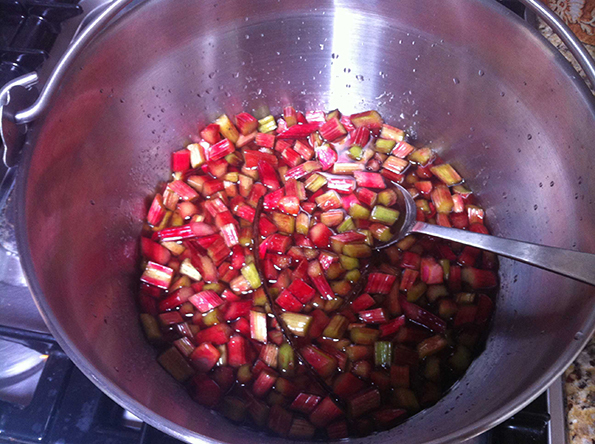 The rhubarb pictured was kindly given to us by Gawsworth Hall and in return they got a few jars of rhubarb and vanilla jam and some curried rhubarb chutney.